The wearable computing revolution that has been taking place in recent years has drawn in developers and tech giants from all over the world. Though its roots are deep, dating back to the late 60’s and early 80’s with the Sword of Damocles concept and the work of Steve Mann. But in recent years, thanks to the development of Google Glass, the case for wearable tech has moved beyond hobbyists and enthusiasts and into the mainstream. And with display glasses now accounted for, the latest boom in development appears to be centered on smart watches and similar devices. These range from fitness trackers with just a few features to wrist-mounted version of smart phones that boast the same constellations of functions and apps (email, phone, text, skyping, etc.) And as always, the big-name industries are coming forward with their own concepts and designs. 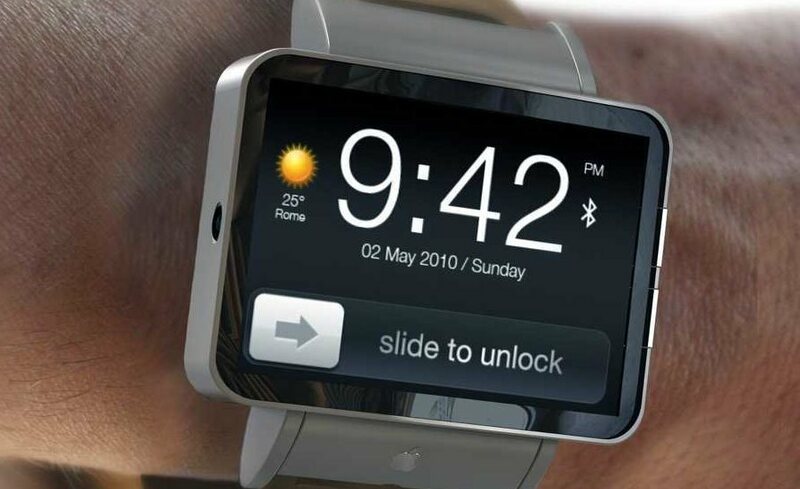 First, there’s the much-anticipated Apple iWatch, which is still in the rumor stage. 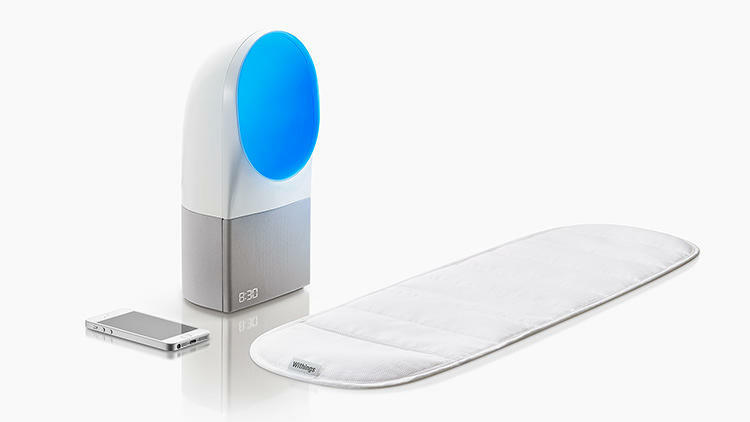 The company has been working on this project since late 2012, but has begun accelerating the process as it tries to expand its family of mobile devices to the wrist. Apple has already started work on trademarking the name in a number of countries in preparation for a late 2014 launch perhaps in October, with the device entering mass production in July. 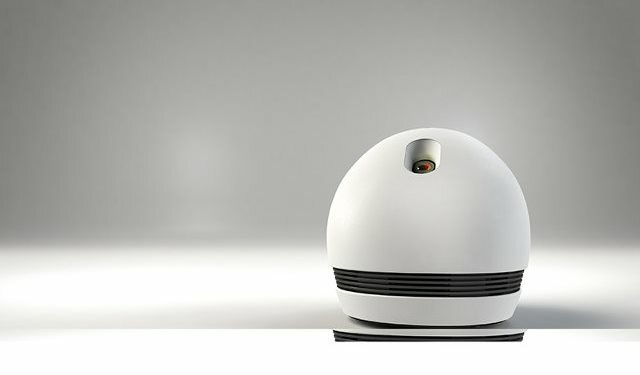 And though it’s not yet clear what the device will look like, several mockups and proposals have been leaked. And recent reports from sources like Reuters and The Wall Street Journal have pointed towards multiple screen sizes and price points, suggesting an array of different band and face options in various materials to position it as a fashion accessory. It is also expected to include a durable sapphire crystal display, produced in collaboration with Apple partner GT Advanced. While the iWatch will perform some tasks independently using the new iOS 8 platform, it will be dependent on a compatible iOS device for functions like receiving messages, voice calls, and notifications. 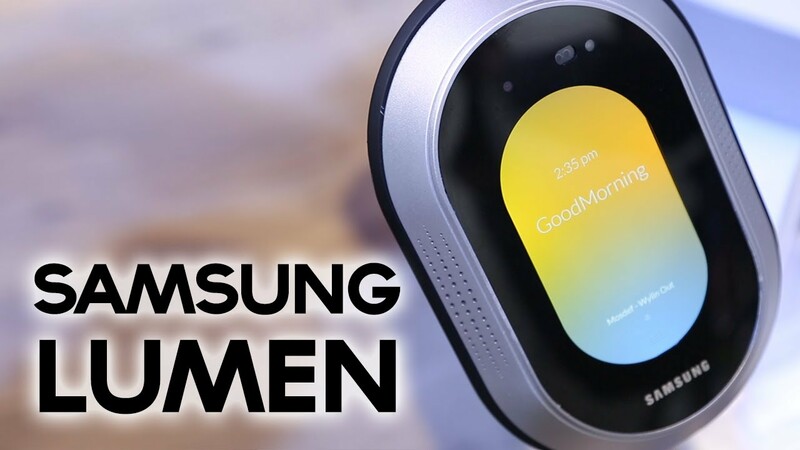 It is also expected to feature wireless charging capabilities, advanced mapping abilities, and possibly near-field communication (NFC) integration. But an added bonus, as indicated by Apple’s recent filing for patents associated with their “Health” app, is the inclusion of biometric and health sensors. Along with serving as a companion device to the iPhone and iPad, the iWatch will be able to measure multiple different health-related metrics. Consistent with the features of a fitness band, these will things like a pedometer, calories burned, sleep quality, heart rate, and more. The iWatch is said to include 10 different sensors to track health and fitness, providing an overall picture of health and making the health-tracking experience more accessible to the general public. 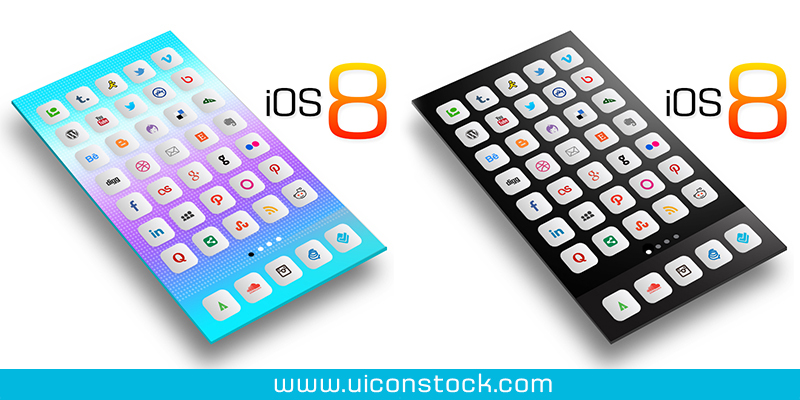 Apple has reportedly designed iOS 8 with the iWatch in mind, and the two are said to be heavily reliant on one another. 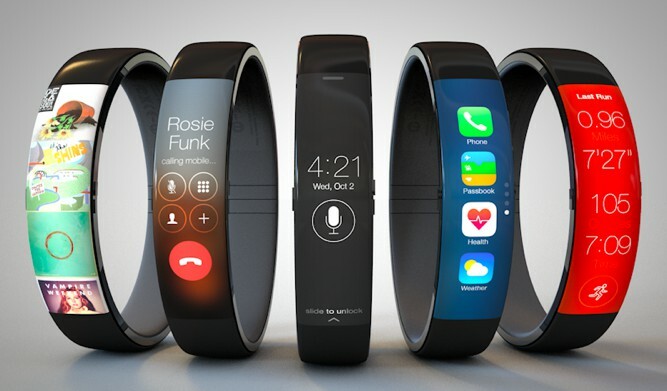 The iWatch will likely take advantage of the “Health” app introduced with iOS 8, which may display all of the health-related information gathered by the watch. Currently, Apple is gearing up to begin mass production on the iWatch, and has been testing the device’s fitness capabilities with professional athletes such as Kobe Bryant, who will likely go on to promote the iWatch following its release. Not to be outdone, Google launched its own brand of smartwatch – known as Android Wear – at this year’s I/O conference. Android Wear is the company’s software platform for linking smartwatches from companies including LG, Samsung and Motorola to Android phones and tablets. A preview of Wear was introduced this spring, the I/O conference provided more details on how it will work and made it clear that the company is investing heavily in the notion that wearables are the future. Android Wear takes much of the functionality of Google Now – an intelligent personal assistant – and uses the smartwatch as a home for receiving notifications and context-based information. For the sake of travel, Android Wear will push relevant flight, weather and other information directly to the watch, where the user can tap and swipe their way through it and use embedded prompts and voice control to take further actions, like dictating a note with reminders to pack rain gear. For the most part, Google had already revealed most of what Wear will be able to do in its preview, but its big on-stage debut at I/O was largely about getting app developers to buy into the platform and keep designing for a peripheral wearable interface in mind. Apps can be designed to harness different Android Wear “intents.” For example, the Lyft app takes advantage of the “call me a car” intent and can be set to be the default means of hailing a ride when you tell your smartwatch to find you a car. Google officials also claimed at I/O that the same interface being Android Wear will be behind their new Android Auto and TV, two other integrated services that allow users to interface with their car and television via a mobile device. So don’t be surprised if you see someone unlocking or starting their car by talking into their watch in the near future. The first Android Wear watches – the Samsung Gear Live and the LG G Watch – are available to pre-order and the round-face Motorola Moto 360 is expected to come out later this summer. All of these steps in integration and wearable technology are signs of an emergent trend, one where just about everything from personal devices to automobiles and even homes are smart and networked together – thus giving rise to a world where everything is remotely accessible. 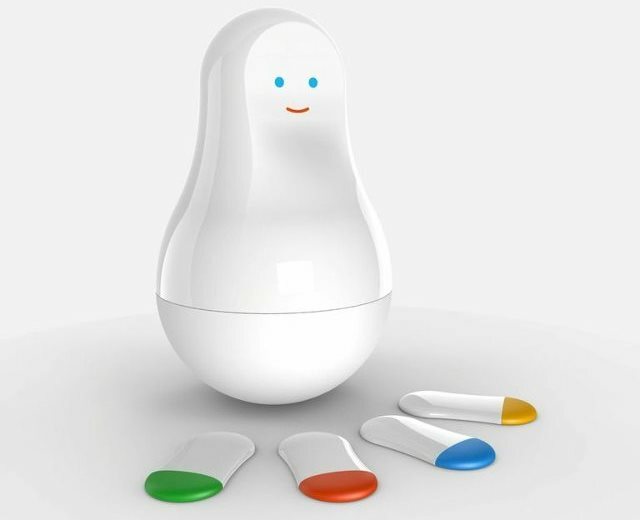 This concept, otherwise known as the “Internet of Things”, is expected to become the norm in the next 20 years, and will include other technologies like display contacts and mediated (aka. augmented) reality. 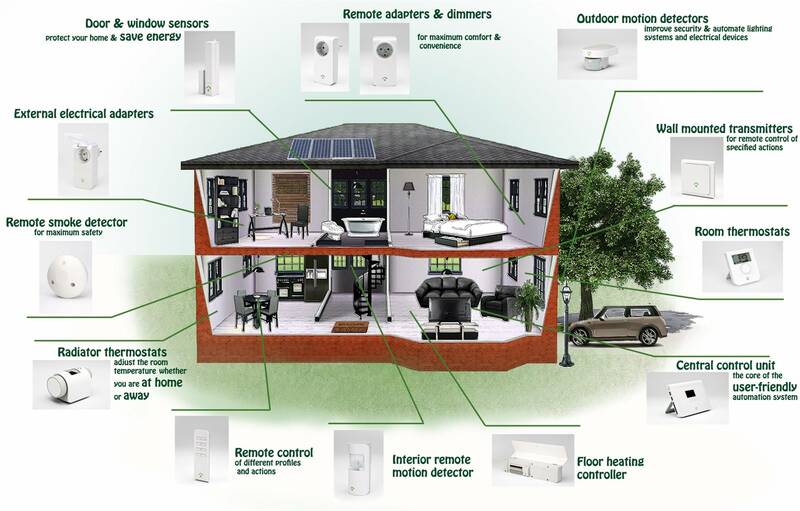 When it comes to the future, it is clear that the concept of the “Internet of Things” holds sway. This idea – which states that all objects will someday be identifiable thanks to a virtual representations on the internet – is at the center of a great deal of innovation that drives our modern economy. Be it wearables, wireless, augmented reality, voice or image recognition, that which helps us combine the real with the virtual are on the grow. And so it’s really no surprise that innovators are looking to take augmented reality to the next level. The fruit of some of this labor is Blippar, a market-leading image-recognition and augmented reality platform. 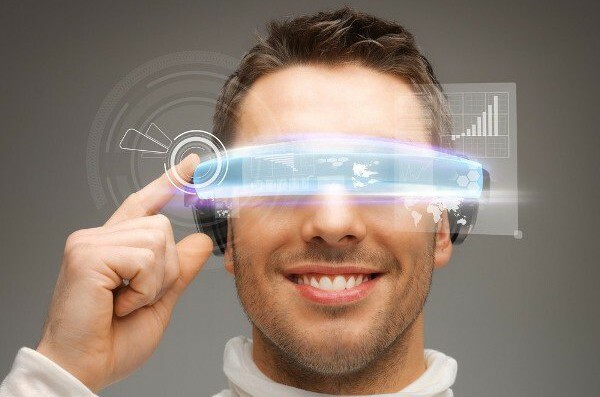 Lately, they have been working on a proof of concept for Google Glass showing that 3-D searches are doable. This sort of technology is already available n the form of apps for smartphones, but a central database is lacking that could any device into a visual search engine. As Ambarish Mitra, the head of Blippar stated, AR is already gaining traction among consumers thanks to some of the world’s biggest industrial players recognizing the shift to visually mediated lifestyles. Examples include IKEA’s interactive catalog, Heinz’s AR recipe booklet or Amazon’s recent integration of the Flow AR technology into its primary shopping app. As this trend continues, we will need a Wikipedia-like database for 3-D objects that will be available to us anytime, anywhere. Social networks and platforms like Instagram, Pinterest, Snapchat and Facebook have all driven a cultural shift in the way people exchange information. This takes the form of text updates, instant messaging, and uploaded images. But as the saying goes, “a picture is worth a thousand words”. In short, information absorbed through visual learning has a marked advantage over that which is absorbed through reading and text. In fact, a recent NYU study found that people retain close to 80 percent of information they consume through images versus just 10 percent of what they read. If people are able to regularly consume rich content from the real world through our devices, we could learn, retain, and express our ideas and information more effectively. Naturally, there will always be situations where text-based search is the most practical tool, but searches arise from real-world experiences. Right now, text is the only option available, and oftentimes, people are unable to best describe what they are looking for. But an image-recognition technology that could turn any smartphone, tablet or wearable device into a scanner that could identify any 3-D object would vastly simplify things. Information could be absorbed in a more efficient way, using an object’s features and pulling up information from a rapidly learning engine. For better or for worse, wearable designs of consumer electronics have come to reflect a new understanding in the past few years. Basically, they have come to be extensions of our senses, much as Marshall McCluhan wrote in his 1964 book Understanding Media: The Extensions of Man. Google Glass is representative of this revolutionary change, a step in the direction of users interacting with the environment around them through technology. Leading tech companies are already investing time and money into the development of their own AR products, and countless patents and research allocations are being made with every passing year. Facebook’s acquisition of virtual reality company Oculus Rift is the most recent example, but even Samsung received a patent earlier this year for a camera-based augmented reality keyboard that is projected onto the fingers of the user. Augmented reality has already proven itself to be a multi-million dollar industry – with 60 million users and around half a billion dollars in global revenues in 2013 alone. It’s expected to exceed $1 billion annually by 2015, and combined with a Google-Glass type device, this AR could eventually allow individuals to build vast libraries of data that will be the foundation for finding any 3-D object in the physical world. Two years ago, Samsung made a big splash with the release of their concept video for a thin, transparent, AMOLED display tablet. Having showed a great deal of promise, thanks to the combination of paper thin technology and the Active-Matrix Organic Light-Emitting Diode display, they had to admit a fully transparent device was still many years away. And in that respect, they were hardly alone. 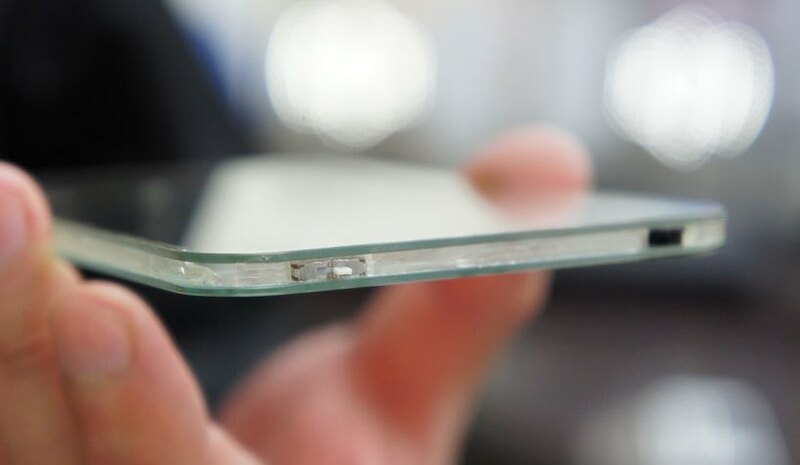 After the Consumer Electronics Show of 2010 and 2011, it seemed that every major company had their own concept for a transparent device, still many years in the making. Well, as it turns out they all may have spoken a little too soon! 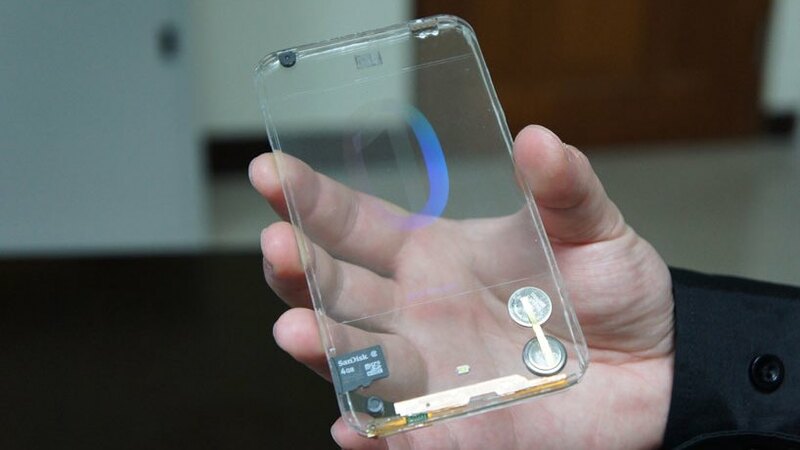 In a recent story, a Taiwanese group named polytron introduced their concept for a transparent smartphone and USB stick. 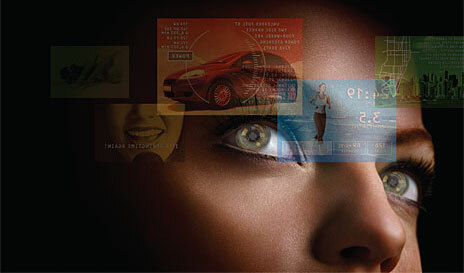 As purveyors of smart glass – glass with built-in LED displays, “privacy” glass, holographic glass, touchscreen glass, etc – this latest invention effectively combines what they do best with the world of computing and communications and has jump started efforts to create to completely transparent devices. As you can see from the pics and video below, the phone has a thin frame, a slot for a SIM card, speakers mounted in the top, and is powered by two button cell batteries. It also boasts and LED screen, and is clearly still very much in the research and development phase. In the future, the company plans to mount a case across the bottom to hide the electronics, and an operating system will come as standard. Much the same is true of their transparent USB stick. 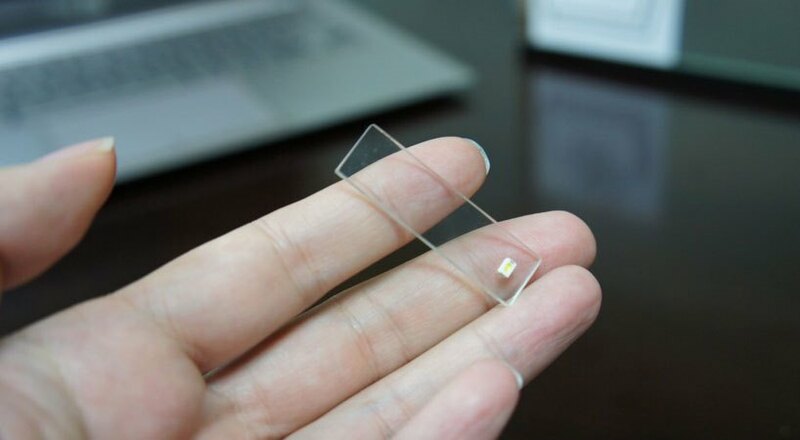 Combining an internal chip, a transparent case, and an embedded LED light to let you know when it’s plugged in, this device is likely to become the next generation of USB drives. And according to official rumors, the glass USB stick will also be made available with storage capacities of 4, 8, 16, and 32 gigabytes. 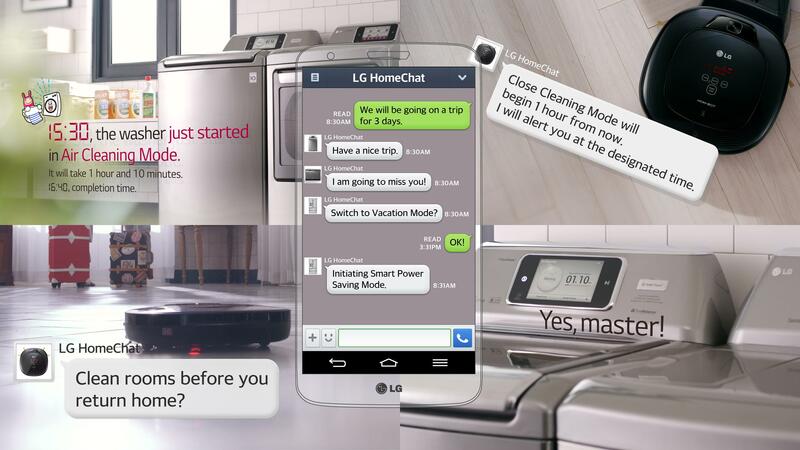 No telling when it will be commercially available as of yet, but in all likelihood, sooner than the transparent phone. Be sure to check out these videos by Mobile Geeks, and follow the links at the bottom of the page to learn more about polytron’s smart glass products. I assure you, its really quite inspired!